Dolphin populations are fast declining in the past decade. This provides a detailed list of the world's endangered dolphin populations and species. Dolphins are one of the most lovable creatures on the planet. They are very social animals, and have even been found to show altruism towards others of their kind who are distressed, injured, or endangered. Many scientists (and dolphin-lovers) agree that dolphins are the second most intelligent animals after humans. That is why it is sad to note that dolphin populations have dwindled over the years. There are only 37 different species of dolphins that live today. According to the 2008 Red List of Threatened Species of the International Union for Conservation of Nature or IUCN, 8 dolphin subpopulations are considered critically endangered while 2 species and 3 subspecies are considered endangered. 3 species and 1 subpopulation of dolphins are classified as vulnerable, which means that they are likely to become endangered unless their numbers improve. This subspecies dolphin is considered the world's smallest dolphin. They can only be found on New Zealand's North Island. Because they keep on getting caught in fishing nets, only less than 110 of these dolphins are said to remain in the world in 2008. This is a subpopulation of the Irrawaddy dolphin that can only be found in a 370-km stretch of the Ayeyarwady River in Myanmar. Only between 58 and 72 of these dolphins are known to exist in the world today. A lot of these dolphins have died due to poisoning from mining operations along the river, being entangled in nets, and being captured for trade. Known in Indonesia as the 'Pesut Mahakam', this type of Irrawaddy dolphin can only be found along a 420-km stretch of the Mahakam River in Indonesia. As few as 34 living dolphins of their kind exist today. This Irrawaddy dolphin is confined to the inner waters of Malampaya Sound in Palawan, Philippines. There are about 77 living Malamapaya Sound Irrawaddy dolphins known at last count. 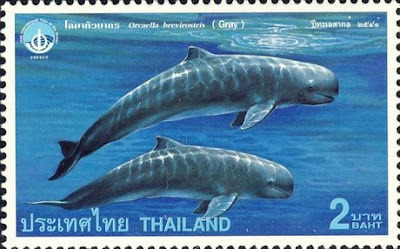 The population of this dolphin unique to the Mekong River between Laos and Cambodia is fast declining. There are at most only 86 of these dolphins living as of 2008; entanglement in nets and the increasing degradation of their habitats are chief causes of their rapid decrease. 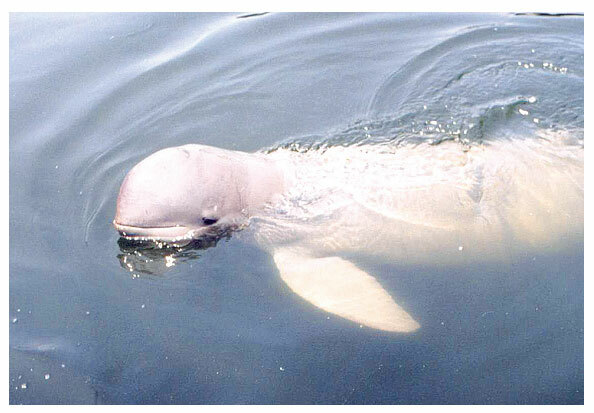 This dolphin found in the brackish water of Songkhla Lake in Thailand is considered the most endangered Irrawaddy dolphin subpopulation. Less than 50 of these dolphins are known to be alive as of 2008. Also known as Matsus's Fish, the Eastern Taiwan Strait humpback dolphin is a subpopulation of the humpback dolphin not to be confused with its close cousin, the Indo-Pacific humpback. This dolphin can only be seen along the Eastern Taiwan Strait. Only about 100 of these dolphins are known to exist as of 2008. The baiji or Yangtze dolphin is a freshwater dolphin found only in the Yangtze river in China. It is considered the most critically endangered dolphin species, with only 13 living as of last count in 1997. The last sighting of a lone baiji was in 2007. Increased use of the Yangtze river for transportation, heavy fishing and power generation has caused the rapid decline of the baiji population. This species of dolphin is the world's smallest. They can only be found in New Zealand's marine waters. There are only around 7,000 of these dolphins in 2007. A subpopulation of Hector's dolphin, the Maui's dolphin, is critically endangered. Contrary to its name, this subpopulation of the common dolphin is not-so-common anymore. Only a few sightings of this dolphin has been recorded in the Mediterranean sea. These dolphins have been classified as endangered by the IUCN since 2003. The South Asian river dolphin counts among its members the Ganges river dolphin (Platanista gangetica gangetica) and the Indus river dolphin (Platanista gangetica minor). It is a freshwater dolphin found in India, Bangladesh, Pakistan and Nepal. It is the largest aquatic mammal to live in river systems. Today they number at only between 843 and 1,171. This subspecies of the bottlenose dolphin used to be hunted extensively for use in the production of oils, paint, glue, varnish, medicine, cosmetics; and for its leather, "fish" meal and bone. Known as 'afalina' in Georgia and Turkey, it can be found mostly in the Black Sea. In 2006 it was estimated that there are only at least several thousands of these dolphins in existence. Although the International Convention on the Conservation of Migratory Species of Wild Animals exists to protect dolphin populations, dolphins continue to be illegally and cruelly caught and traded worldwide. Moreover, the rapid industrialization of areas near aquatic bodies where these dolphins live continue to pose the biggest threat to their numbers. Pollution, habitat degradation, the loss of their food, and even changing climate conditions have all contributed to the dwindling number of dolphins worldwide. That is why many groups continue to be active and vigilant in dolphin conservation efforts to help preserve this wonderful and magnificent marine mammal. Birkun A., Jr. 2006. Common bottlenose dolphin (Tursiops truncatus ponticus), Black Sea subspecies. Pp. 74-83 in: R. Reeves and G. Notarbartolo di Sciara (compilers and editors), The status and distribution of cetaceans in the Black Sea and Mediterranean Sea. IUCN Centre for Mediterranean Cooperation, Malaga, Spain. 137 pp. Connor, Richard C. (2000). Group Living in Whales and Dolphins. In Mann, J., Connor, R.C., Tyack, P.L., and Whitehead H. (Eds. ), Cetacean Societies - Field Studies of Dolphins and Whales (pp.199-218). Chicago: University of Chicago Press. Dove, D.; Dove, V.; Trujillo, F.; Zanre, R. (2008). "Abundance estimation of the Mekong Irrawaddy dolphin Orcaella Brevirostris based on mark and recapture analysis of photoidentified individuals.". WWF Cambodia Technical Report. http://assets.panda.org/downloads/report_abundance_of_mekong_dolphin_population__april_may_07_final_1.pdf. Herman, Louis M. (2005). Intelligence and rational behavior in the Bottlenosed Dolphin. In Hurley, S. and Nudds. M. (Eds. ), Rational Animals. Oxford: Oxford University Press. Reeves, R.R., Jefferson, T.A., Karczmarski, L., Laidre, K., O’Corry-Crowe, G., Rojas-Bracho, L., Secchi, E.R., Slooten, E., Smith, B.D., Wang, J.Y. & Zhou, K. (2008). Orcaella brevirostris. In: IUCN 2008. IUCN Red List of Threatened Species. Reeves, R.R., Smith, B.D., Crespo, E.A. and Di Sciara, G.N. (2003). 2002-2010 Conservation Action Plan for the World's Cetaceans - Dolphins, Whales and Porpoises. UK: International Union for the Conservation of Nature. Smith, B.D. & Braulik, G.T. 2008. Platanista gangetica. In: IUCN 2010. IUCN Red List of Threatened Species. Version 2010.2. So sad to know them becoming extinct. Good post. Sad indeed to contemplate the decline of such a beautiful creature. As with many things, awareness is the key to change. Thanks for this informative article. A great article outlining the tragic demise of these beautiful creatures. Dolphins are one of the smartest animals in the planet. A well compiled article with a message. Our science is not only intoxicating Mother Nature but ourselves. It is quite sad that their numbers are dwindling! Quite interesting indeed. Very interesting with great images. I am out of votes but have tweeted.